Pam Toney proudly points to the artwork hanging throughout the new Bluffton-Jasper County Volunteers in Medicine clinic as she gives a visitor a tour. She said the colorful folk art by Charleston artist Deane Valentine Bowers, created from reclaimed material, is emblematic of the work done at the clinic. In September, the Bluffton clinic relocated to 29 Plantation Park Drive, where it occupies four former office suites. The space was purchased with the help of community donations, including a $120,000 down payment from Community Foundation of the Lowcountry. At the new Bluffton office, patients are greeted in a large comfortable waiting room — sponsored by a donor in memory of her late son. The office has six exam rooms, an onsite pharmacy and an ophthalmology room. In all, Bluffton-Jasper County Volunteers in Medicine offers 16 departments staffed by 90 volunteers, including 16 doctors and 22 nurses. 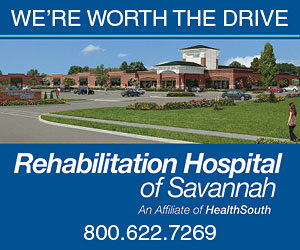 In addition to the Bluffton office, the clinic also sees patients at a facility in Ridgeland. BJVIM opened in 2011. It is one of 91 Volunteers in Medicine clinics in 29 states. 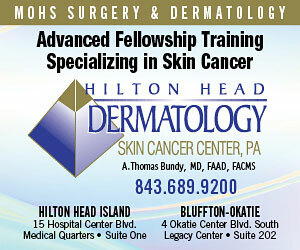 South Carolina is home to 10, including the original clinic on Hilton Head Island, founded in 1994. In 2017, according to its annual report, BJVIM had nearly 4,600 patient visits, filled more than 2,700 prescriptions and performed over 2,300 diagnostic tests. The total value of services provided by the clinic was almost $2.4 million. “This is truly a free clinic for those who are uninsured,” Toney said. A patient visit to the Bluffton facility cost about $125, including tests such as blood work done at the clinic, Toney said. The clinic’s 2018 budget was $518,000, up from $494,000 in 2017. There are five paid staffers. The clinic is totally funded by private donations, grants and fundraisers. Toney said half of the clinic’s income is from grants. The clinic board hired a new resource development director last fall. Dennis Toney — Pam’s husband — was selected from a field of 10 applicants and is an experienced fundraiser. He leads a team of five volunteers working on grant writing, processing, correspondence and acknowledgement letters. The team is also building a database to track donors. The clinic has about 500 active individual donors with a goal to increase that number by at least 15 percent, he said. To receive care at a Bluffton-Jasper County Volunteers in Medicine clinic, patients must live in Bluffton or Jasper County and make no more than 250 percent of the federal poverty level. Most of the clinic’s clients are between the ages of 40 and 50, and are mainly women, Pam Toney said. In her four years with the Bluffton clinic, she has seen firsthand how it makes a difference in patients’ lives — and how hard it can be for local residents to get medical help. One day a woman walked in when the clinic opened at 8:30 a.m., Toney said. Hours later, she was still sitting in the waiting area. Worried, Toney finally spoke to the woman, who said she was dropped off for her appointment at 6:30 a.m. at a nearby gas station. Another patient told her the new “beautiful building” made him feel special, Toney said.